Veros Credit and its affiliates recently surpassed the $1 billion milestone in loan originations. Veros Credit’s recent expansion, coupled with a storied history of originating loans in California, Arizona and Nevada, helped the company hit this new mark. The company also has near-term plan to head into the additional markets of Illinois, Indiana and Oklahoma. “November 2014 marks a historical significance in our company’s history,” Veros Credit Cyrus Bozorgi president and chief executive officer said. “Our recent expansion into new markets has helped push us over the $1 billion mark, but the bulk of our lending occurred with our two decade relationships in California, and I want to thank our dealership partners for all of their support, along with our valued Veros Credit employees. “Our intent is to bring that same brand of customer service and dealer loyalty that has worked so well for us the past two decades, to all of the markets we serve across the country as we push towards our second billion in auto loans,” Bozorgi continued. Veros Credit specializes in the acquisition and servicing of retail installment contracts through a vast network of franchise and independent dealers. “It is a great feeling to be part of a company that has such a deep history, that now wants take this high service level and long-term relationship concept across the United States,” Veros Credit vice president of sales and marketing Kyle Dietrich said. 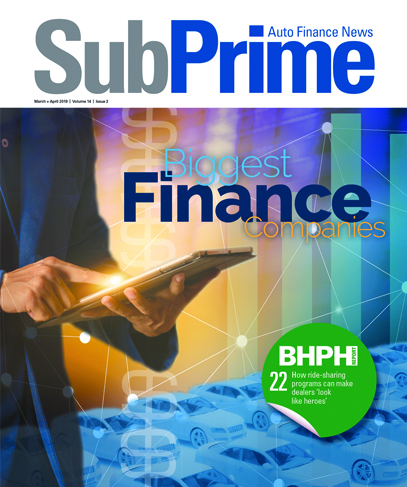 “We have been very well received in our new markets and it is apparent that our second billion of auto loan originations will happen considerably sooner than our first billion,” Dietrich went on to say.